Sight for All United will host its second annual golf scramble, “Golf Fore Sight: Keep Your Eye on the Ball,” on May 21 at Tippecanoe Country Club, 5870 Tippecanoe Road, Canfield. Tickets are $150 per golfer. Admission for dinner only is $100 per person. Sponsorship levels also are available. Registration will take place at noon, followed by lunch and a shotgun start at 1 p.m. Play will conclude at 6 p.m. with an open bar reception and buffet dinner. Prizes and awards will be presented after dinner. Sponsors for the event include Denise and John York and The Debartolo Corp.; Eye Care Associates; Shawn Ruddy, Nationwide Insurance; Dennis and Kathy Abboud and Readerlink LLC; Mercy Health Foundation of the Mahoning Valley; The Renal Group; and Optimum Anesthesia. Proceeds will benefit the local efforts of Sight For All United, a 501(c)(3) nonprofit organization whose mission is to provide eye-care services to all individuals regardless of ability to pay. For information, call Dominic Mancini, communications director, at 330-779-8045 or visit www.sightforallunited.com. 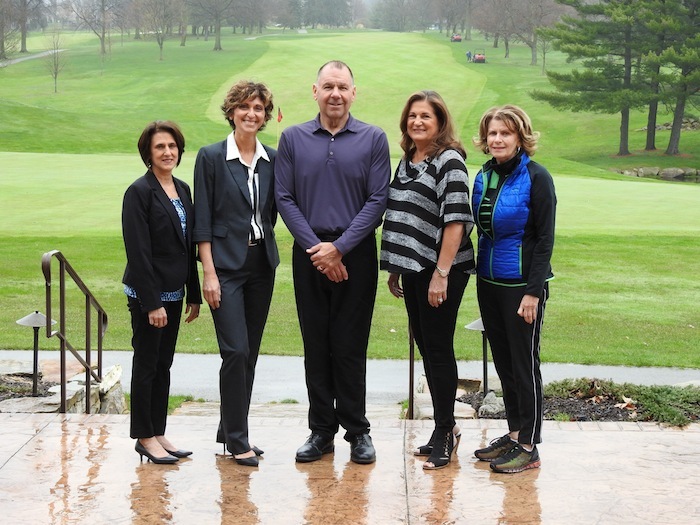 Above, from left are Luann James; Dr. Sergul Erzurum, co-founder and president of Sight For All United; Michael Spiech, Tippecanoe Country Club golf professional; Joyce Cene; and Vickie Pallotta. April 30, 2017 9:05 a.m.
June 5, 2018 2:01 p.m.